What do you recall about the Kowakian Monkey-Lizard, Salacious B Crumb? Maybe his piercing, raucous laughter! Or was it his constant companionship to Jabba the Hutt! One of the things I can never forget was when he infuriated the intimidating Darth Vader, which elicited a threat of death if he ever laughed in his presence again! Jabba the Hutt seemed to adore his loyal, little pet. 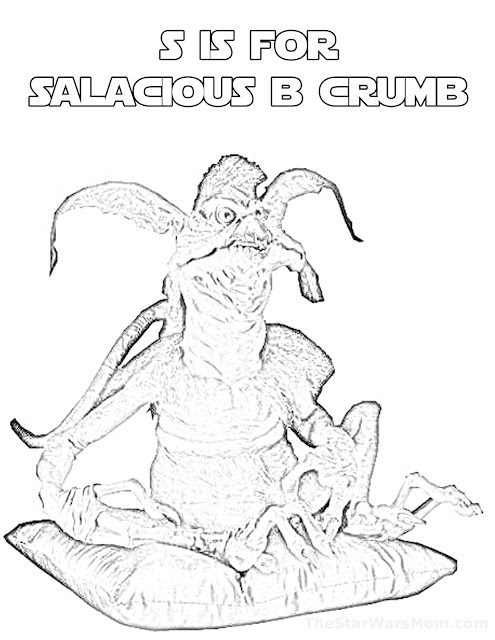 After Princess Leia choked Jabba to death with her slave chain, Salacious started attacking C-3PO, even biting him. R2-D2 to the rescue!!! Ut-oh! A droid messed up!